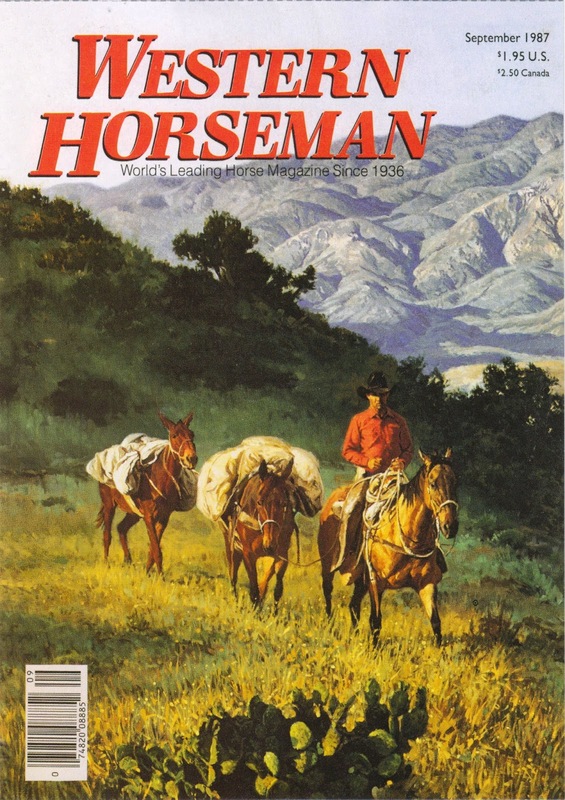 Postcard US-3259468 to North Carolina shows a magazine cover, "When the Honeymoon's Over" by Western artist Bill Owens, for the Western Horseman's September 1987 issue. As do most of his paintings, this one shows a real cowboy, living and working in the contemporary West. Owen's artwork has appeared on the magazine's cover 29 times.